The interiors of the rooms and suites combine refined styling and furnishings conceived with the utmost care, for an elegant design that’s also incredibly comfortable. 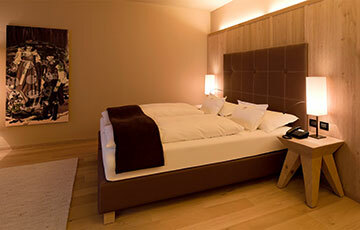 The beautiful view of the Dolomites from the balconies or from the terraces gives the rooms and the suites a truly special and unique touch. 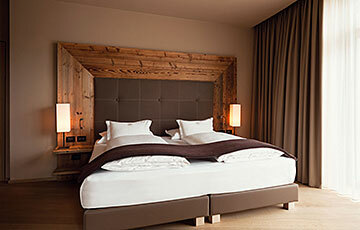 Superior room with balcony facing south or garden access and a splendid view of the Dolomites. 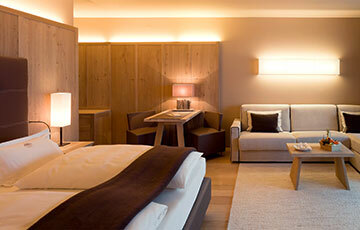 Exclusive room with beautiful terrace facing south and a splendid view of the Dolomites. 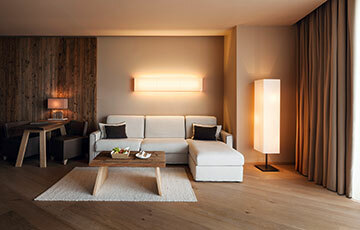 Luxury suite with balcony facing south and a splendid view of the Dolomites. 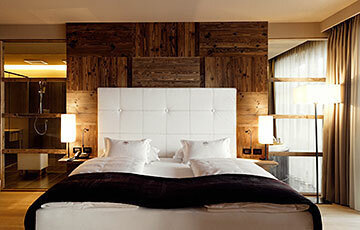 Exclusive luxury suite with balcony facing south and a splendid view of the Dolomites. 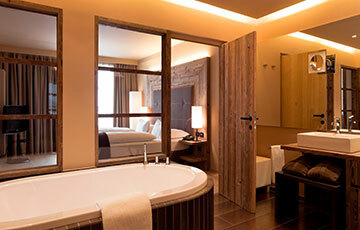 Luxury suite with a large balcony and a splendid view of the Dolomites.